Now we're gonna tackle a bit more challenging instance, Grim Batol. Even when not on heroic mode, monsters in this one like to hit like a truck, so one does not simply pull this instance with 3 pulls, unless in decent tank gear. 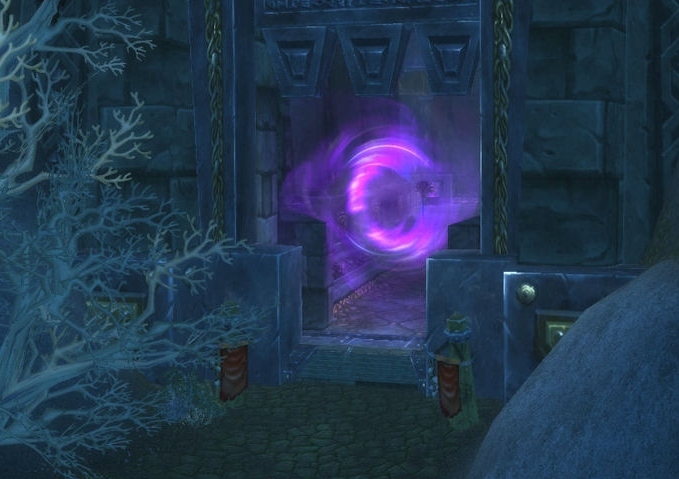 However, the rewards are even better than those from the previous dungeon, Lost City Of The Tol'vir. This dungeon is a bit more difficult, but that only means the loot is more valuable! This instance seems almost heroic, difficulty-wise, even when on normal mode. There's little difference in these modes though, so it's better to do the farming completely on normal mode. A level 90 with a tank spec is recommended in any case if you want to pull more than one pack at a time. Grim Batol is completely indoors like most dungeons, so you can't use your mount this time to round up big piles of mobs. Not that it's even recommended as there's not a lot of opportunities for los-ing casters, and all mobs here pack a punch in any case. There's a ton of humanoid mobs here, so this place awards more than 100% additional Embersilk cloth than Lost City of Tol'vir for example, which too contains lots of humanoids. If you grab a red drake in the beginning and fly around scorching packs of monsters, it makes the killing a little bit faster. You can usually hit each pack two times, bringing their health to 70% ish. It's not a good idea to kill any of the packs with the drake, as no loot is then awarded when they die. This time too I enjoyed a Potion of Treasure Finding to get even more loot. When used, each monster has a chance of dropping a Tiny Treasure Chest which contains gold and other trade goods. This could be increased even further if you have tailoring and especially if you put Embersilk Cloth into better use, such as bags or greenies, which you can then disenchant. I don't like to include Blue BOEs in total sums, but this is one of those instances where there's a 90% chance of getting at least one of these. They still sell for 400+ gold usually.